Rainforest Alliance Certified Cocoa. Pieces of pure chocolate pleasure. Suitable for vegetarians. Kosher - KLBD-D. 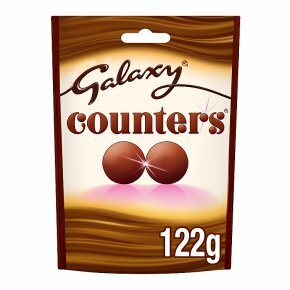 Pieces of smooth and creamy Galaxy milk chocolate, lovingly created to melt in your mouth.